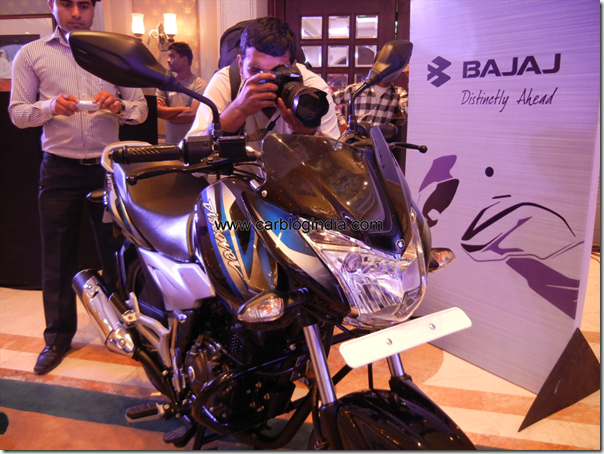 Bajaj Auto India has launched the new 2012 Bajaj Discover 125 ST in India on 14th May 2012 in New Delhi, India. 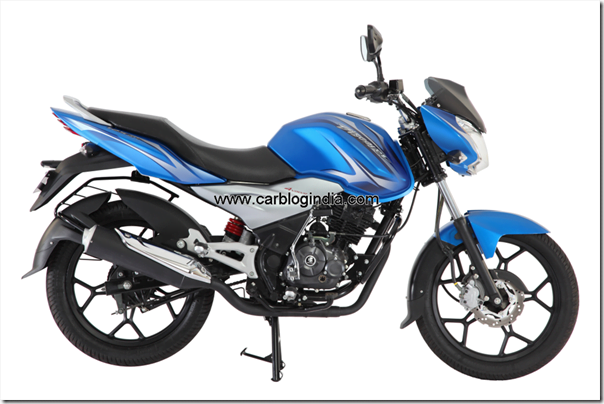 The new Bajaj Discover 125 ST has been equipped with many technology as well as design improvements which make the new Discover even more attractive and better value for buyers who are looking for a fuel efficient bike with good power and features. 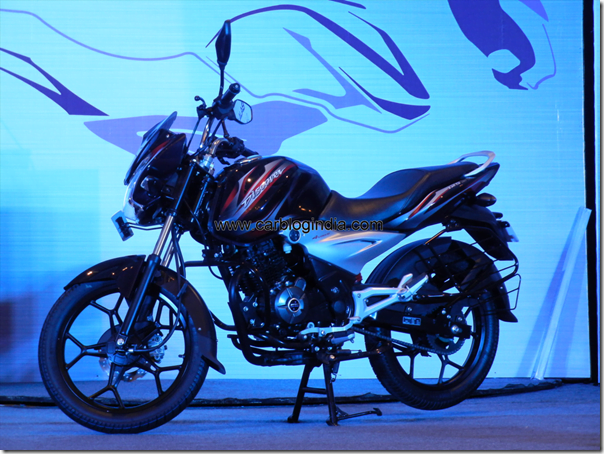 Discover has always been a balance between the power and performance with typically 125 CC segment which is gradually emerging as one of the high volume segments after the 100 CC commuter segment. The ST in the new Bajaj Discover stands for Sports Tourer which means a bike which is sporty as well as comfortable for long commuting or touring. 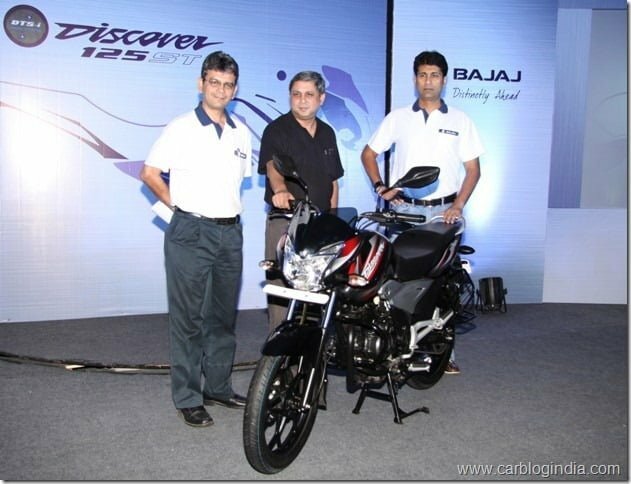 The new 2012 Bajaj Discover 125 ST is powered by a 4 valve single cylinder petrol engine with a CV type carburetor. With the 4 valve technology and high quality of the engine, it produces 13 PS of power @ 9000 RPM which is one of the best power in the 125 CC segment in India. 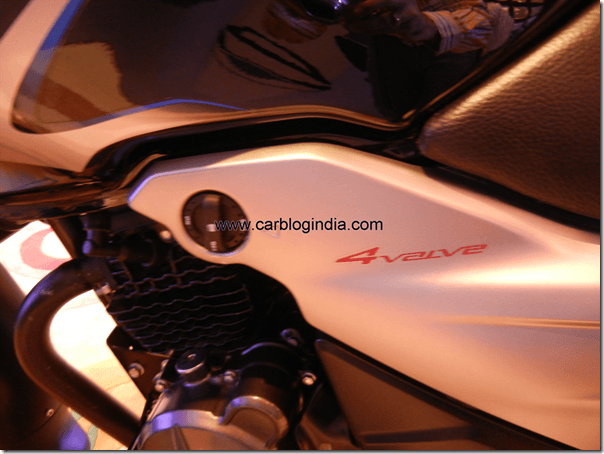 It produces 10.8 Nm of torque @ 7000 RPM with digital ignition system. It comes with self and kick start option. It has a 5 speed manual transmission with semi double cradle frame. 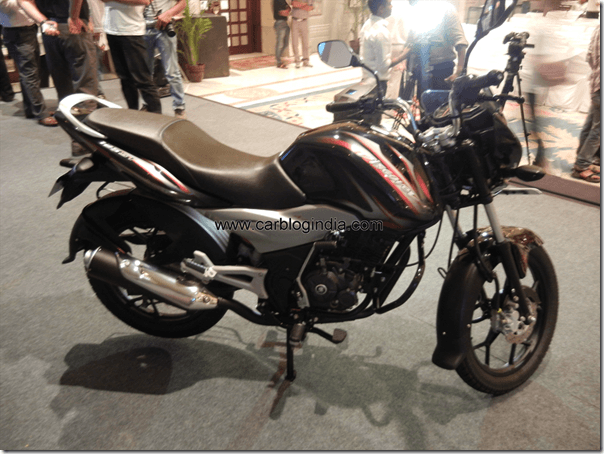 It has a telescopic fork suspension at the front which is pretty much standard in all commuter bikes but it features a Nitrox Monoshock gas filled suspension at rear which is first in the 125 CC commuter segment. 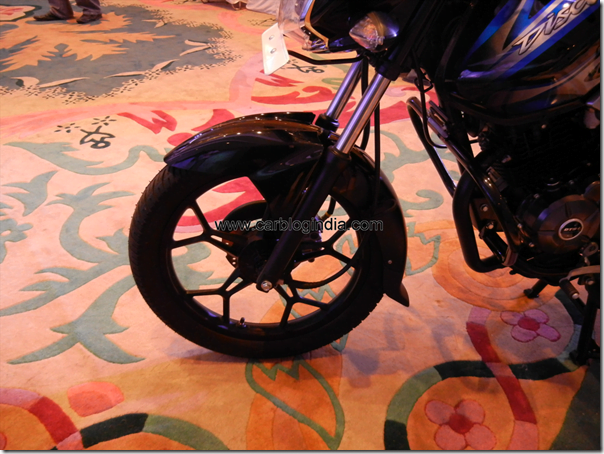 It has a 200 mm petal shaped disk brake at the front for superior braking performance and a 130 mm dia drum brake at the rear. 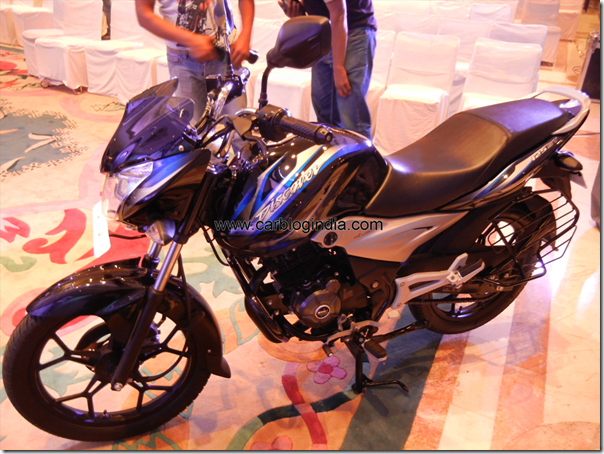 It has a new alloy design which is black in colour and resembles the new Bajaj Pulsar 200 NS design. The tyre size of the front is 2.75 x 17 inch and at the rear it is 3.00 x 17 inch. 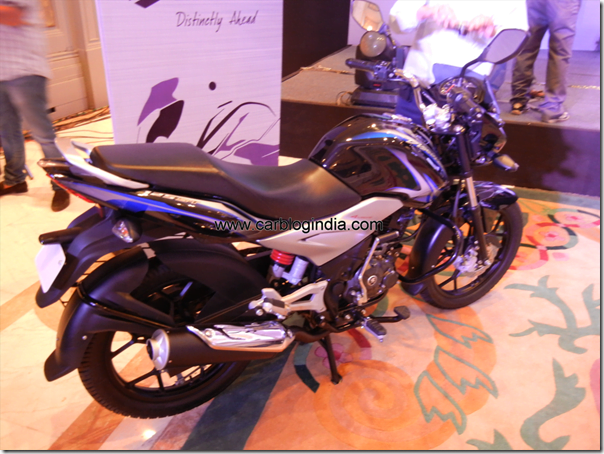 Fuel tank capacity is 10 litres while some important dimensions of the new Discover 125 ST are 1305 mm of wheelbase, 800 mm seat height, 2100 mm turning radius, 170 mm ground clearance, kerb weight of 124.5 Kg. The top speed of Discover 125 ST is 105 KMPH. 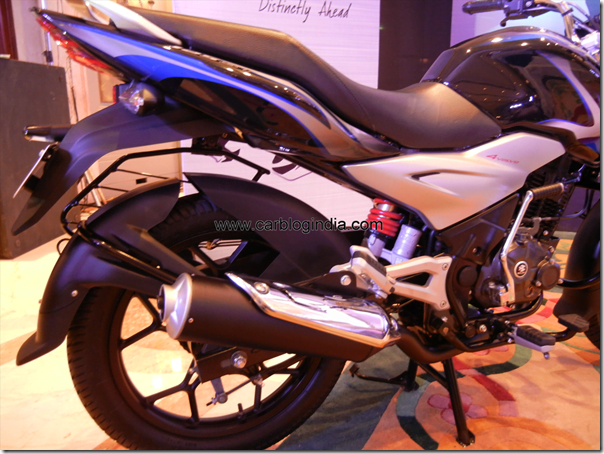 Talking of some of the key features, the Discover 125 ST uses ExhausTec technology of Bajaj which is a patented technology used on the exhaust side of the engine and improves the engine performance, the 5 speed gearbox ensures good performance as well as mileage by keeping the engine running at comfortable revs even at higher speeds. 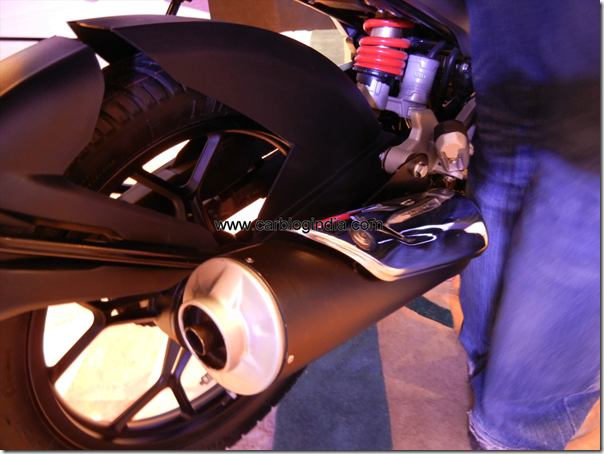 The new design of Fuel tank is much more sharp compared to the old Discover and derives more aggressive and sporty stance from Pulsar. 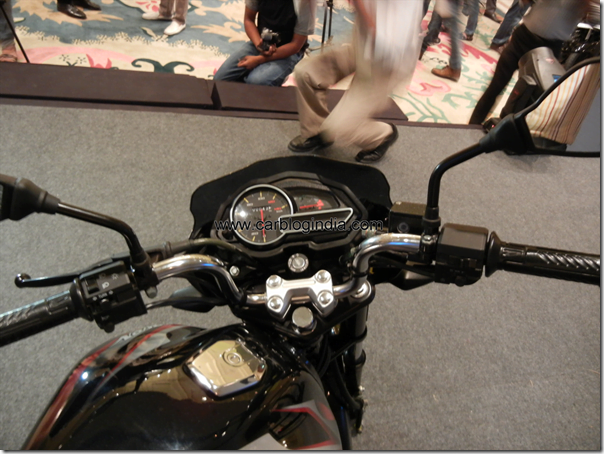 The chiseled shape of the front headlamp cluster, visor, rear view mirrors, front mud guard etc. all gives it a very sharp and sporty appeal. The alloy wheels are with sleek ribs which gives it an agile appeal. 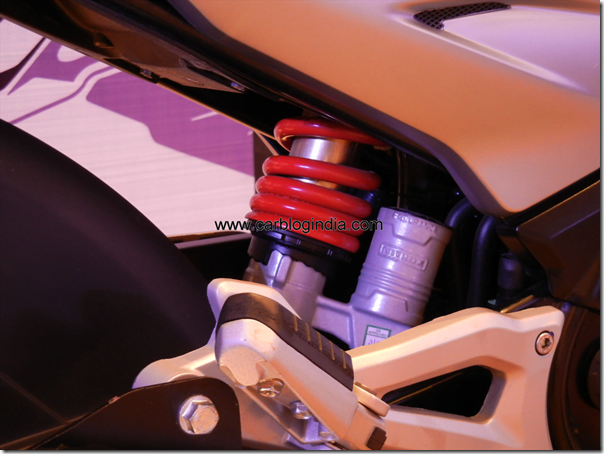 The sporty Monoshock suspension at the rear not only improves on the aesthetics, but also improves on the balance, handling and comfort during the ride of the the Discover ST. The engine fins are more corrugated for better heat dissipation and superior performance and cooling even in the scorching hot summers in India. The frame or the chassis has been designed to suppress the vibrations for a more comfortable ride. 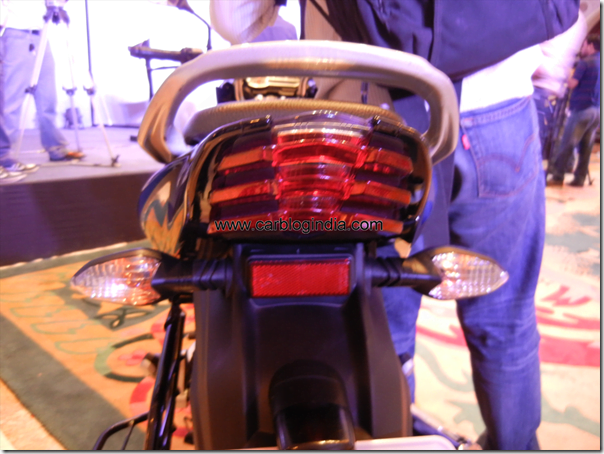 The colour options include the Black-Red and Black-Blue colour which were displayed at the launch in New Delhi India. There maybe more colour options which have not been announced as yet. 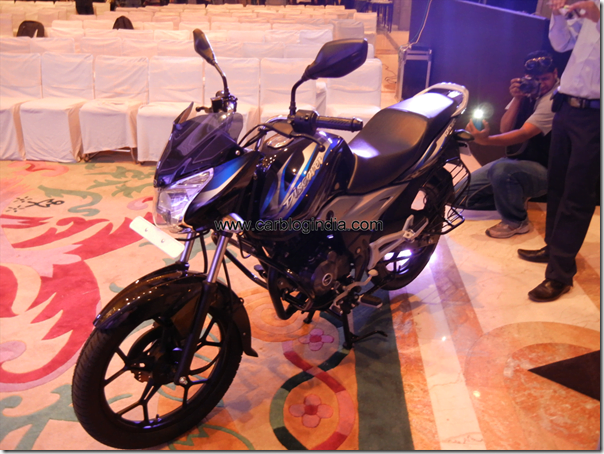 Bajaj Discover 125 ST has been priced at Rs. 55740 ex-showroom Tamil Nadu. Launch for other Indian states will be done soon in phases. 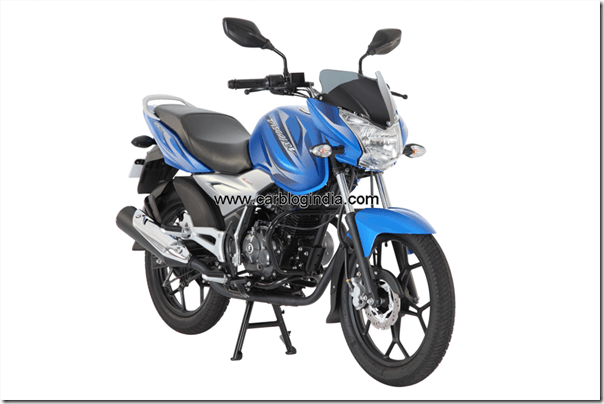 Check out more details at – Bajaj Discover 125 ST Official Price In India.